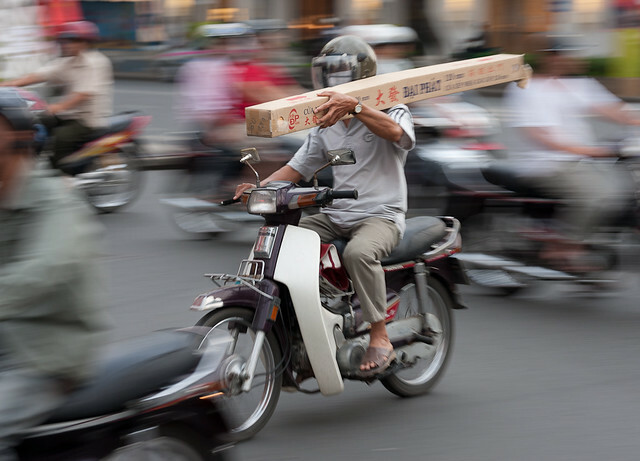 Crossing a road in a city in Vietnam, even on a green pedestrian light, is at first intimidating. Rules of the road do not appear to apply. Bikes run red lights, go up one way streets, or take to the sidewalk (pavement). Or all at the same time. But in fact it is not very hard, or (apparently) very dangerous. Just go, and go slow and steady. Especially steady. As long as you keep going at the same slow pace, a path will magically open for you in even the densest oncoming wave of bikes, and traffic will flow smoothly around you. Takes a bit of confidence at first, but it works very well. And whatever you do, do not run, abruptly stop, or change direction. Confuse one driver, and there maybe trouble. Well, not really. More like eating an enormous buffet brunch at one of the big hotels. Last week we tried the Dim Sum at the Intercontinental. Excellent, all made to order, and a great deal. 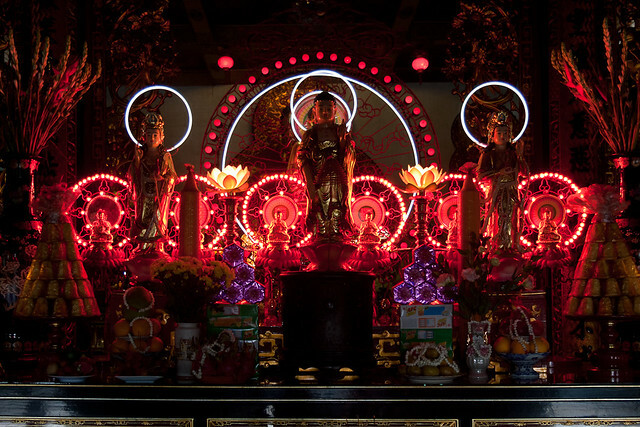 For Londoners: think Royal China on the Queensway, unlimited, for ten quid ($15) a person. In the Intercontinental. And this week the Italian buffet at the Park Hyatt. Very good, unlimited Prosecco, but at a price level closer to London than Saigon. You can guess how the remainder of the afternoon is spent. 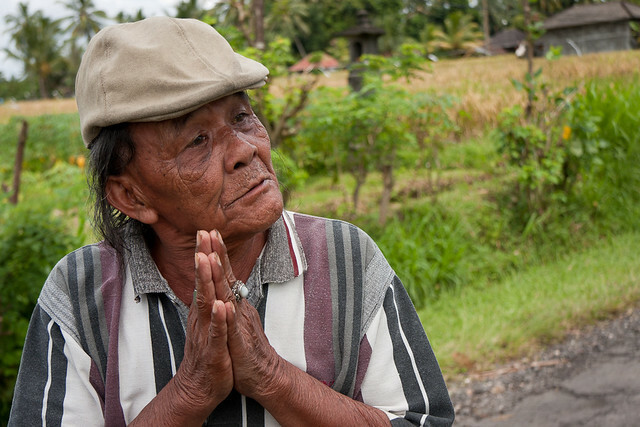 We caught little glimpses of the spiritual side of Bali everywhere. 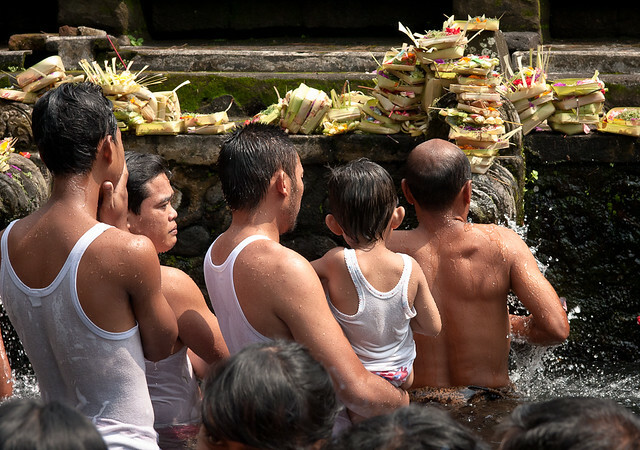 The most visually clear example was the ritual bathing of the faithful before entering Pura Tirta Empul (the Clear Water Spring Temple). In the foreground you can see the heads of some people in the long line for the spouts. 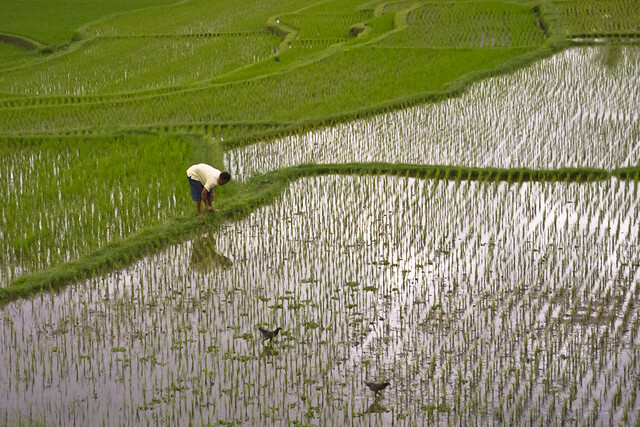 Once you get off the road, Bali is quiet and beautiful. 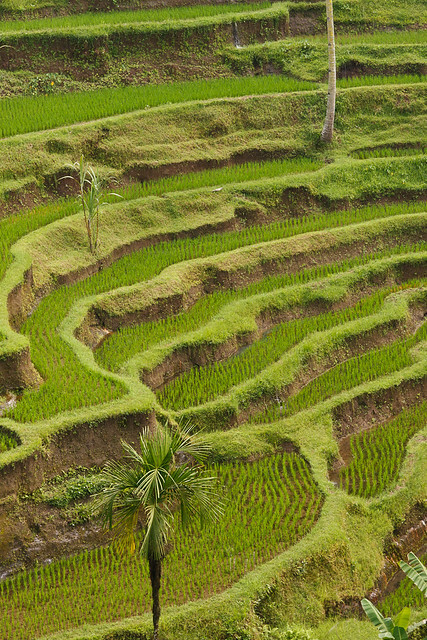 This was down a little alley and a fifteen minute walk through the rice paddies from the centre of Ubud (with its 80,000 shops). I took this in the pool in Bali. It wasn't as hard as it may seem. These flowers dropped in the pool all the time, and they attracted the little damselfly (it's about an inch long). The pool had a slight current towards the drain, so all I had to do is be ready with my camera in the pool, downstream, and wait till they drift by. That way I did not startle them and got quite close. 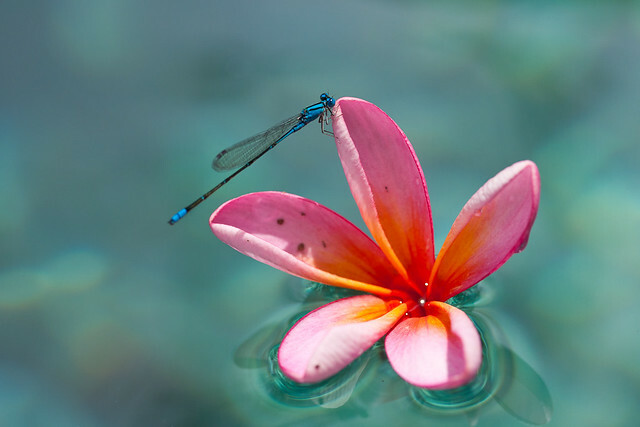 UPDATE: I believe this is a Blue Tailed Damselfly, and it sits on a Frangipani flower.